After the FAST GTX SURROUND sneaker emerged back in October, adidas TERREX and White Mountaineering have officially revealed their full Fall/Winter 2018 collaboration. 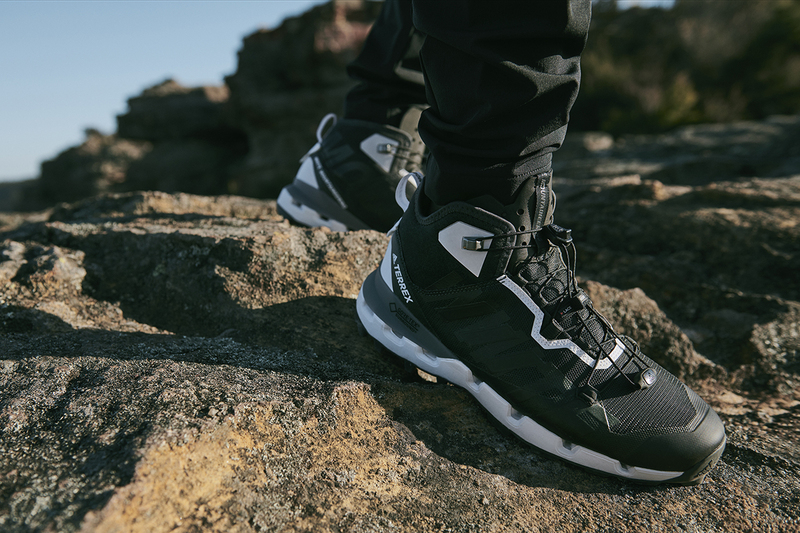 The second sneaker in the collaboration is a take on the trail running TERREX TWO silhouette, which is wrapped in waterproof and breathable GORE-TEX lining and lightweight mesh uppers. The sneaker also features oversized “WHITE” branding and a geometric pattern across the toe, heel cap and eye stay. As well as the two sneakers, the capsule also features three new outerwear pieces in tonal black colorways. Two classic TERREX styles — the WM CLIMAHEAT DOWN jacket and WM FLEECE — are reworked with White Mountaineering touches including panelling and contrasting branding. The third piece, the WM 3L jacket, is constructed from laminated ripstop and features a number of the same design elements. Lastly, the Fall/Winter 2018 collaboration is rounded out with two trouser styles. Both footwear styles and the trousers are set to release on December 15, while the outerwear pieces will drop in mid January.